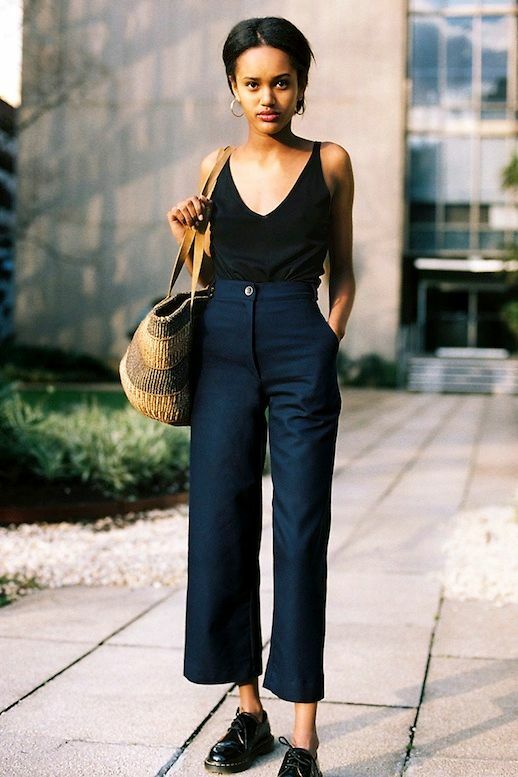 There are some simple ways to start transitioning your favorite cropped pants like culottes into the fall. As we see in the shot above, you can swap your sandals out for something more substantial like oxfords or ankle boots. However, don't lose the cami top just yet! You can always just add layers as needed such as a classic cardigan or denim jacket. Meanwhile, how cool are her hoop earrings and basket tote?